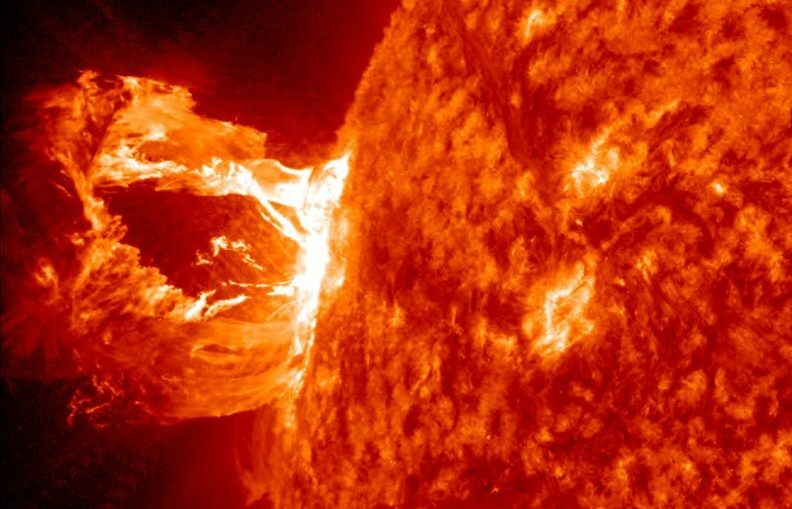 A new study by Queen’s University Belfast and Aberystwyth University indicates that the Sun’s magnetic field is 10 times more powerful than previously thought. By analyzing a solar flare on September 10, 2017 using the Swedish one-meter Solar Telescope at Roque de los Muchachos Observatory, La Palma in the Canary Islands, Dr David Kuridze, Research Fellow at Aberystwyth University, was able to determine that the magnetic field is an order of magnitude greater than earlier measurements have suggested. The solar magnetic field reaches out and defines the limits of the solar system. It shields us from galactic cosmic rays. It confines and directs the massive solar flares that burst from the Sun’s interior and expand to over 20,000 km (12,500 mi) above its surface.